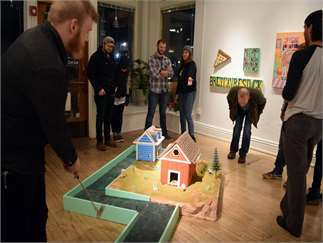 Grand Rapids’ monthly downtown art event is back! Only on this day do these unique galleries and shops open their doors after hours so the public can check out the latest local art, music, and goods. Along Division from Fulton to Wealthy Street, six art exhibits, tours and art activities at the UICA, and music for sale at Vertigo Records round out this favorite local event.